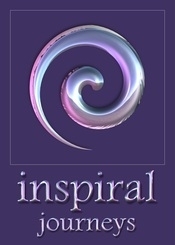 I am very proud to announce the launch of Inspiral Journeys - a sister company to Inspiral - specialising in spiritual holidays and mini-breaks. As usual, we will be keeping this affordable, whilst taking you on day trips, weekends, and short breaks to some of the most spiritual places in Britain. All Journeys will include development activities, workshops, events, and much more, and will also include plenty of opportunity to socialise and relax. In order to keep it within everyone's reach, every Journey will offer pre-pay, whereby you can pay for your holiday from as little as £5 a week over the year.